Chile travel guides, tips and articles to inspire your next trip. Chile is the long, skinny country running up the bottom right edge of South America. It might look small on the map but it’s packed with breathtaking (literally in some cases – thanks to the altitude) destinations that will have you reaching for your camera. 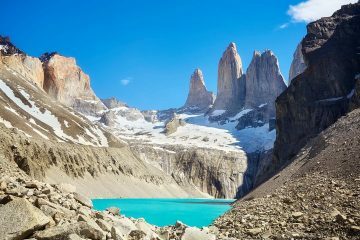 Whether you are braving the high altitudes and star-filled skies of the Atacama Desert or pitting yourself against the mountains in the famous Torres del Paine National Park, Chile is guaranteed to leave you in awe. 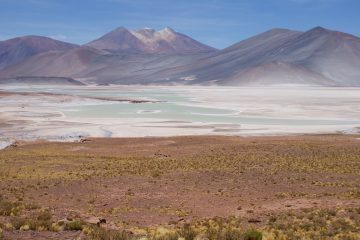 The Atacama Desert is a gobsmacker. 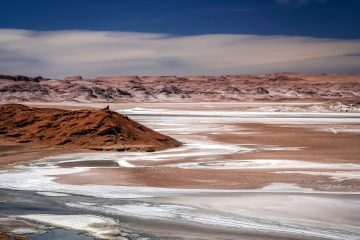 I don’t say this lightly – but the time I spent driving around in a campervan, witnessing the technicolour Atacama landscapes and otherworldly sights in the Atacama Desert has got to go down as one of the best trips I’ve ever taken. Almost at the opposite end of the country, the Torres del Paine National Park is the perfect place to explore a slice of Patagonia. I took a five-day W Trek in the Torres del Paine and I can’t even begin to tell you about how much I loved it. 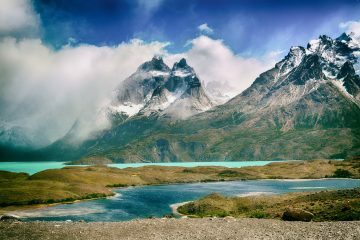 Preparing for a Torres del Paine trek might seem like a bit of a military operation but it’s well worth the effort. Highly recommended. The southernmost tip of South America is every bit as dramatic as you would expect it to be. Prepare yourselves for sightings of whales, penguins and a lot of birdlife. Oh and some pretty incredible panoramas to boot. Santiago might not have the same buzz surrounding it as some other South American cities, but that’s not to say it shouldn’t be a part of your South America travel route. Quietly charming, it’s got a world-class dining scene and party vibe to vie with the best of them. Clear night skies, world-class wine, pisco distilleries and a hippy vibe – the Elqui Valley is the place to recharge your batteries, take some time out and appreciate all that nature has to offer. Spend days hiking and exploring the valley and the evenings stargazing in the world’s first international dark sky sanctuary. No, not the one in the UK. Chile’s Lake District is on a somewhat grander scale. The glacial lakes from which the area takes its name are only part of the story. I guess calling it the Lakes, Soaring Volcanic Peaks, Cute Village and Gorgeous Outdoors district doesn’t have quite the same ring to it though. 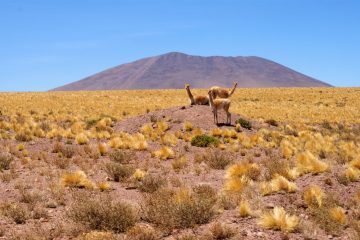 Read about more unmissable things to do in Chile.